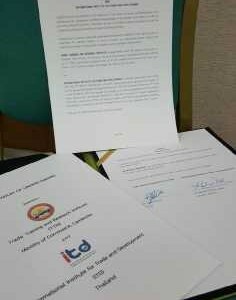 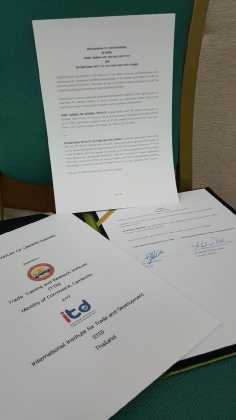 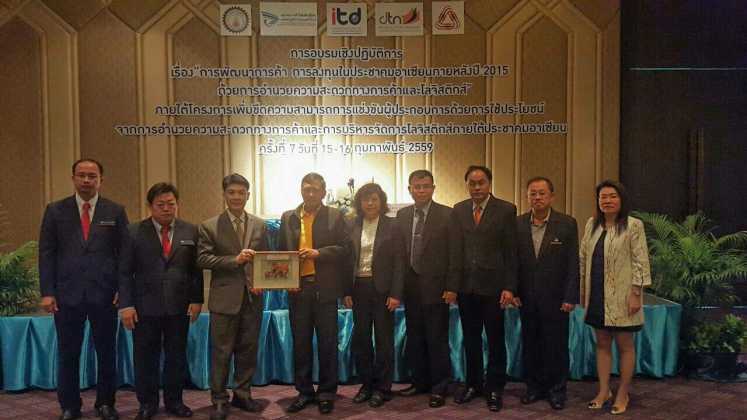 On February 18, 2016: TTRI and ITD met to sign the Memorandum of Understanding. 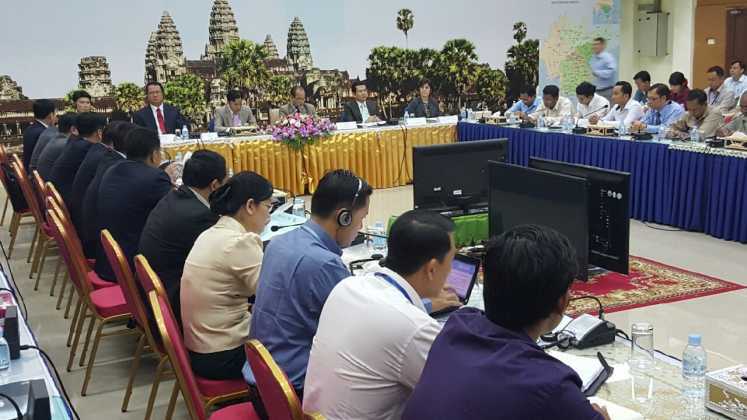 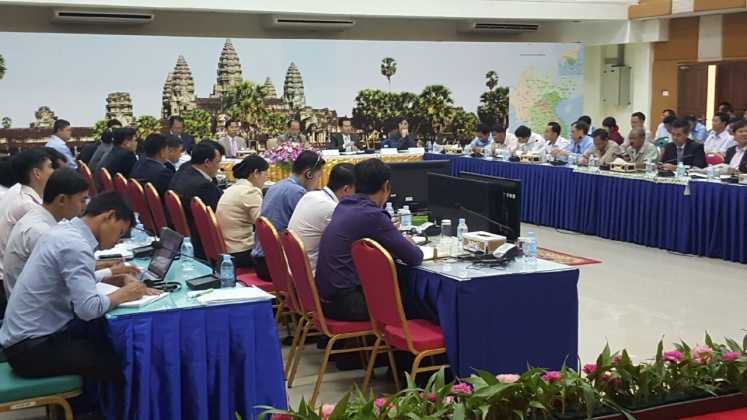 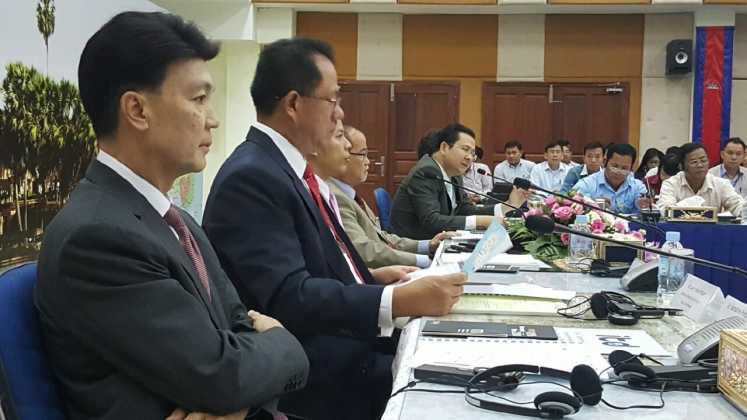 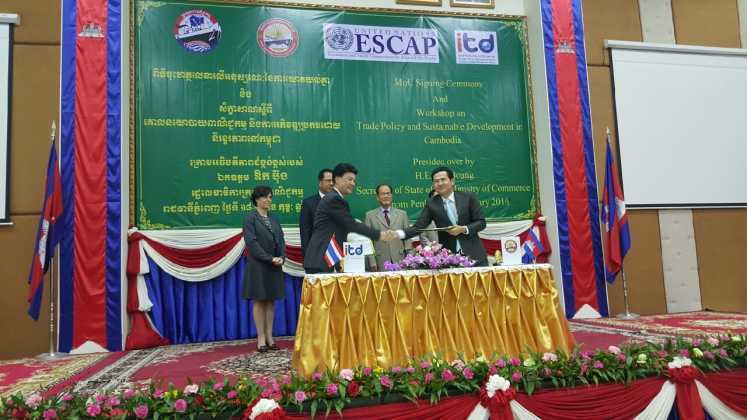 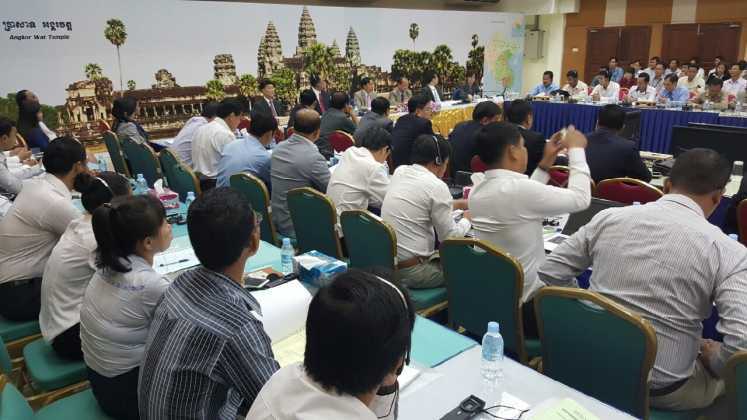 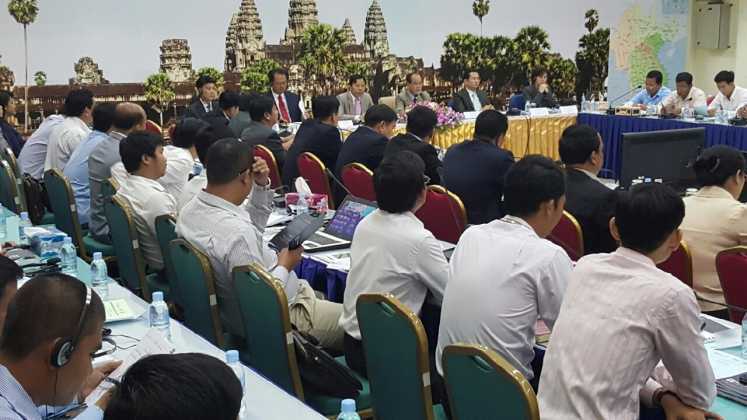 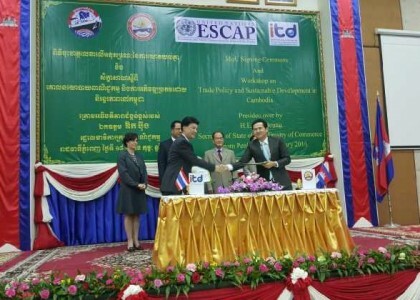 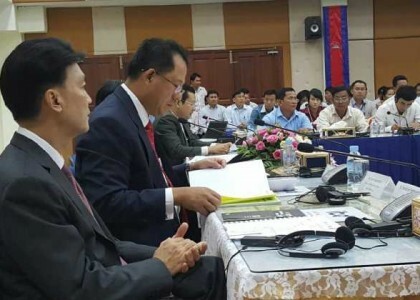 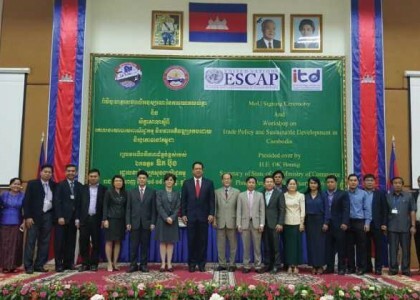 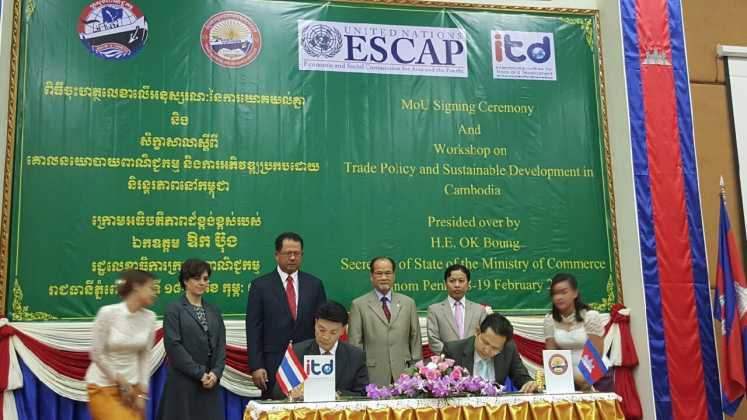 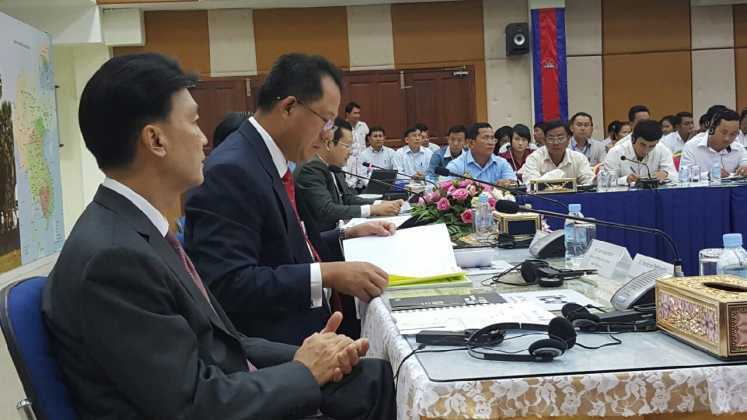 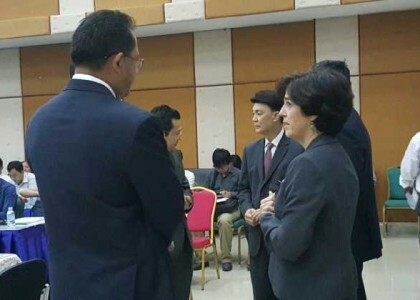 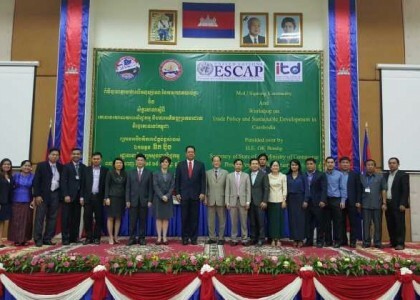 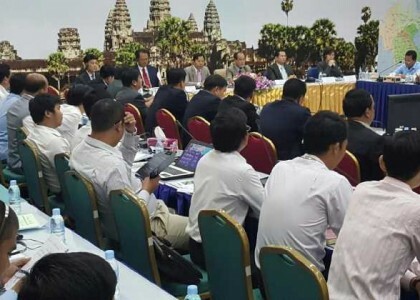 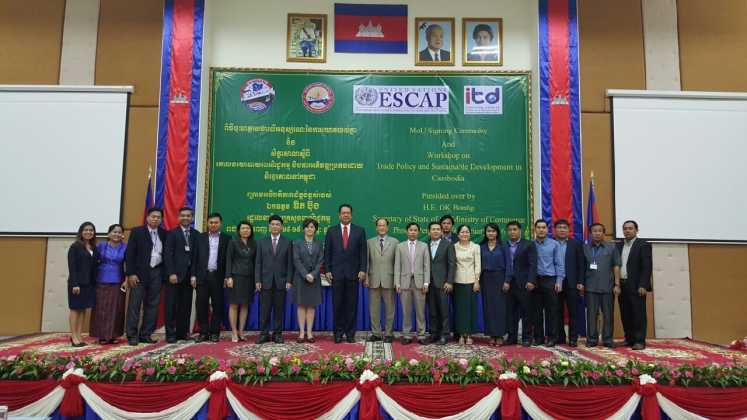 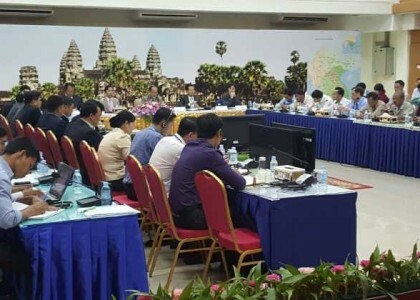 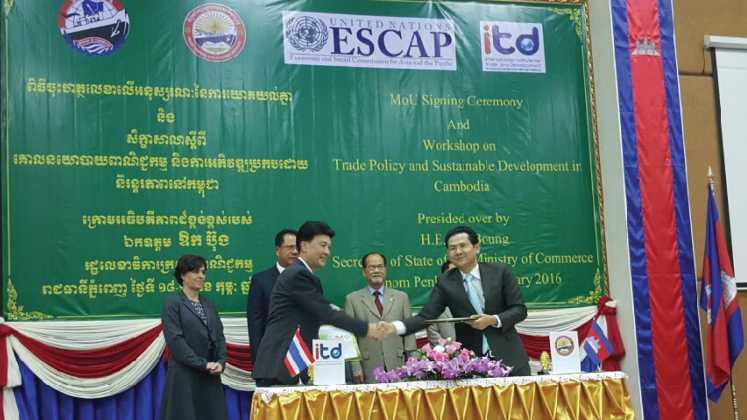 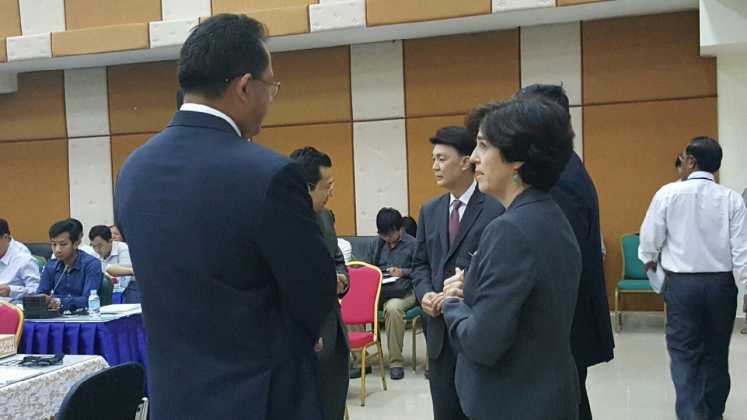 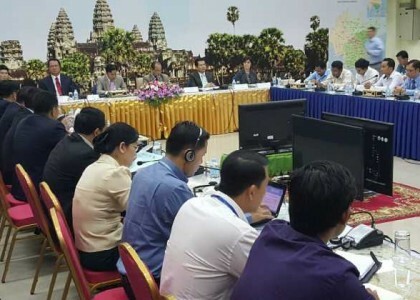 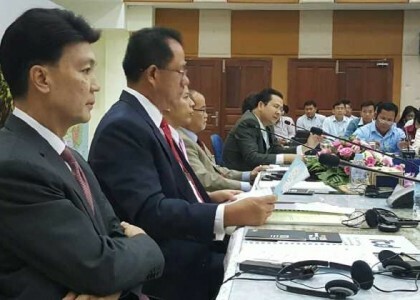 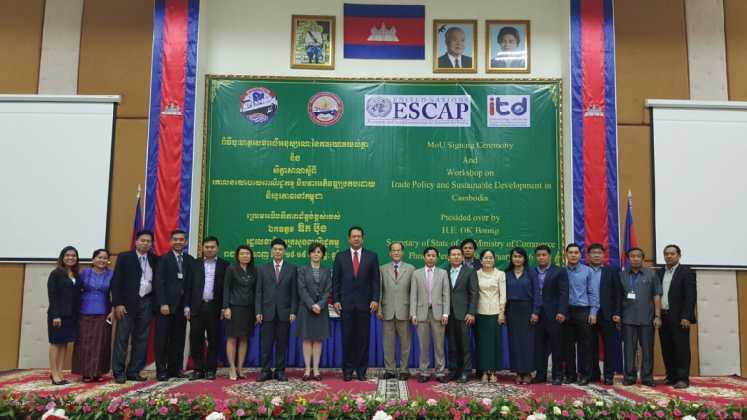 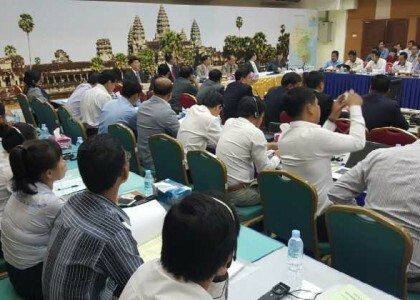 Dr. Kamalinne Pinitpuvadol, Executive Director of ITD, Mr. Suon Vichea, Director of TTRI and high level representatives of ITD and TTRI gathered at Minister of Commerce, Phnom Penh, Cambodia for this important moment, which presided over by H.E. 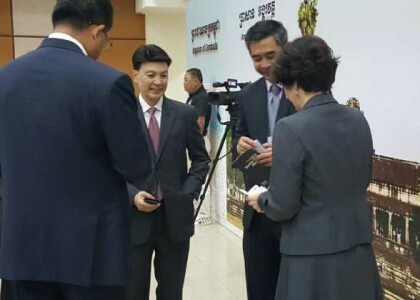 OK Boung, Secretary of State of Ministry of Commerce. 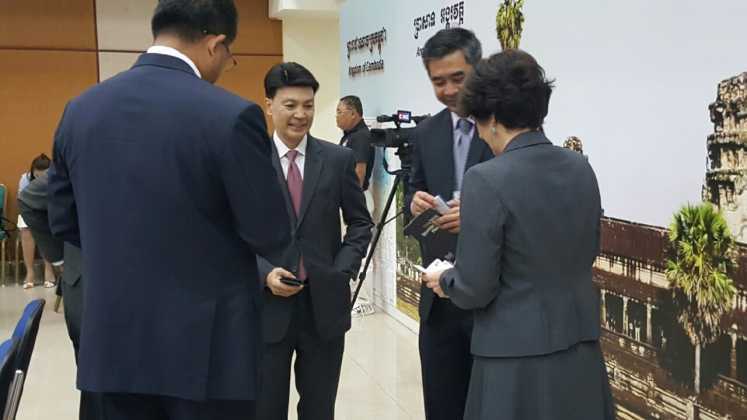 It is an honour for the two organizations receiving Congratulatory Remarks from Mr. Darm Boontham, Minister and Deputy Chief of Mission, Royal Thai Embassy. 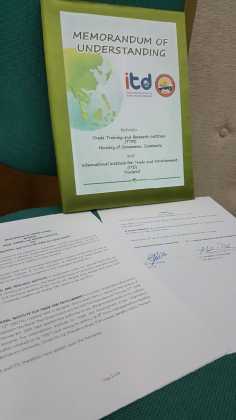 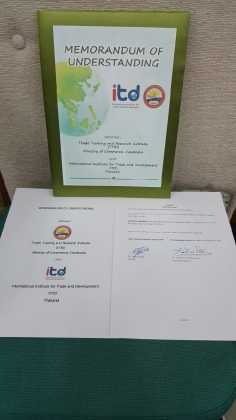 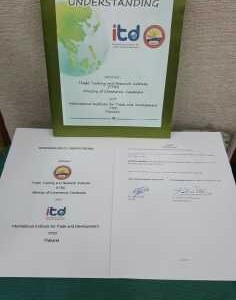 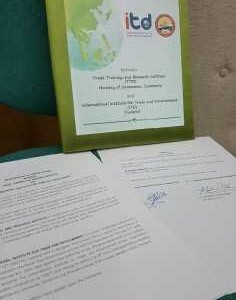 This MoU defines the framework for partnership arrangement between TTRI and ITD ensuring close cooperation and coordination of efforts concerning research, training, workshop, and seminar programmes for economic growth and development. 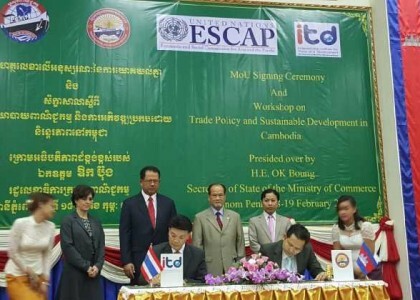 The two intend to facilitate cooperation initiatives in the areas of trade, finance, private sector development, investment and sustainable development to increase awareness and information sharing among key stakeholders through joint researches, training, workshop, and seminar programmes in regional and international forum.